The company sees a lot of potential and growth opportunity in these markets. 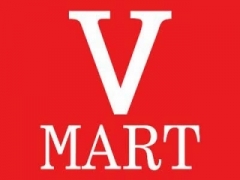 V-Mart is targeting tier-3 and tier-4 cities for the retail expansion strategy. The company sees a lot of potential and growth opportunity in these markets. Lalit Agarwal, CMD, V-Mart, said, "V-Mart has always been pioneering in tier-3, tier-4 cities. This is our forte and this is what we are known for. Tier-3 and tier-4 are very different from tier-1 or tier-2 markets. That is the mode that we want to follow and that is where we see a lot of opportunity and growth which can come in." "The consumers, the Bharat, which lives in these towns and this is where the high density of population is, have unlocked aspirations and unaddressed consumption needs. This is where we want to go and this is where most of the retailers are also trying to follow. V-Mart sees a huge potentiality going forward. We have just scratched the surface by reaching maybe 100-odd towns in these tiers but there are thousands of towns in these locations which can actually be inhabited by retailers like us," he added.